It seems only fitting at the time of year when families come together and merriment is abound that a musician such as Adrian releases a song to match the occasion. Featuring fellow wunderkind, Josh Witt on vocals, there is the kind of relentlessness to Here He Comes that could only ever work with a Christmas track. “Genius” may be one of the most over-used terms, with regards to musicians, but once in a blue moon, it’s appropriate – as is the case with Adrian Cohen. Able to play any requested song by ear on the piano, he works with his lyricist father to create pop songs so perfectly honed that you begin to wonder why mega-selling artists make such a fuss about it. With the all-American goofiness of They Might Be Giants and the fractured magic of Daniel Johnston, Adrian Cohen might secretly be one of music’s greatest gifts. Adrian Cohen is an obscenely nice guy, the kind of person no-one has a bad word to say about and whom everyone counts as a friend. Able to play music perfectly by ear from the age of three, Adrian is, by any standards, savant, a condition which can see those affected achieve almost miraculous mental feats – estimates suggests it affects around one in every million people, with fewer than one hundred savants thought to be living with exceptional skills. Adrian’s own gifts extend beyond playing music to being able to tell you what day of the week it was on 12th February 1762, to being able to rattle of the top of his head any artist’s position in his personal top 500 songs…along with the equivalent in Rolling Stone magazine’s list. 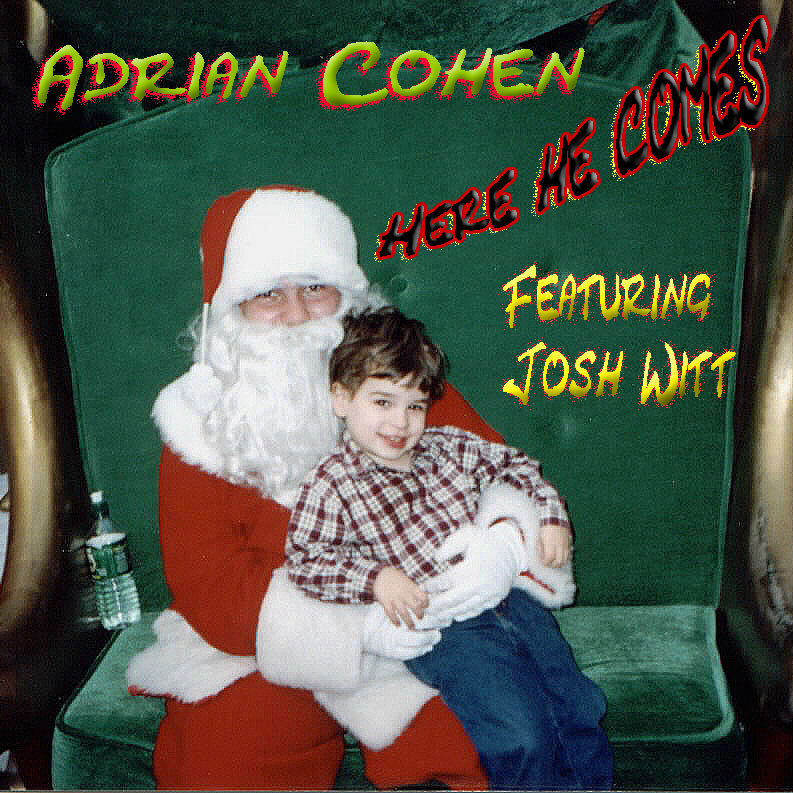 Here He Comes is a prelude to Adrian’s forthcoming new album, Jinx, which is due to be released on March 8th next year, by which time we suspect that you will be more than a little familiar with the magical world of Mr Cohen. Currently studying at Berklee College of Music in Boston, also the temporary home for his incredible vocalist, Josh Witt, Adrian is a genius – one for whom music is a way for him to both communicate and to share his gifts.